This article is about the Archbishop of Canterbury. For his son, the Speaker of the House of Commons, see Charles Manners-Sutton, 1st Viscount Canterbury. Charles Manners-Sutton (Manners before 1762; 17 February 1755 – 21 July 1828) was a bishop in the Church of England who served as Archbishop of Canterbury from 1805 to 1828. Manners-Sutton was the fourth son of Lord George Manners-Sutton, third son of John Manners, 3rd Duke of Rutland. His younger brother was Thomas Manners-Sutton, 1st Baron Manners, Lord Chancellor of Ireland. His father, Lord George, had assumed the additional surname of Sutton in 1762 on inheriting – from his elder brother Lord Robert – the estates of their maternal grandfather Robert Sutton, 2nd Baron Lexinton. In 1785, Manners-Sutton was appointed to the family living at Averham with Kelham, in Nottinghamshire, and in 1791, became Dean of Peterborough. He was consecrated Bishop of Norwich in 1792, and two years later received the appointment of Dean of Windsor in commendam. In 1805 he was chosen to succeed John Moore as Archbishop of Canterbury. During his primacy the old archiepiscopal palace at Croydon was sold and the country palace of Addington bought with the proceeds. He presided over the first meeting which issued in the foundation of the National Society, and subsequently lent the scheme his strong support. He also exerted himself to promote the establishment of the Indian episcopate. As Archbishop of Canterbury, Manners-Sutton appointed his cousin, Evelyn Levett Sutton, a chaplain to Lord Manners, as one of six preachers of Canterbury Cathedral in 1811. In 1819, he presided over the christening of the future Queen Victoria at Kensington Palace. He died at Lambeth on 21 July 1828, and was buried 29 July at Addington, in a family vault. His only published works are two sermons, one preached before the Lords (London, 1794), the other before the Society for the Propagation of the Gospel (London, 1797). In 1778 he married Mary, daughter of Thomas Thoroton of Screveton, Nottinghamshire, by whom he had a family of two sons and ten daughters. His son Charles Manners-Sutton served as Speaker of the House of Commons and was created Viscount Canterbury in 1835. His grandson Henry Manners Chichester by his daughter Isabella was a prolific contributor to the Dictionary of National Biography. Addington Palace was the archbishop's home from 1805 until his death. 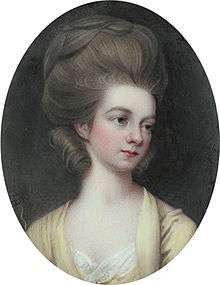 ↑ Mary (Levett) Blackborne Sutton was the widow of London merchant Abraham Blackborne and the daughter of Sir Richard Levett, Lord Mayor of London. 1 2 3 Overton 1893. This article incorporates text from a publication now in the public domain: Overton, John Henry (1893). "Manners-Sutton, Charles (1755-1828)". In Lee, Sidney. Dictionary of National Biography. 36. London: Smith, Elder & Co.